What is the wear limit for a disk rotor? You will need to measure the thickness of your rotor to determine if it needs replacing, then check that against the manufacturer's recommendation for minimum thickness. 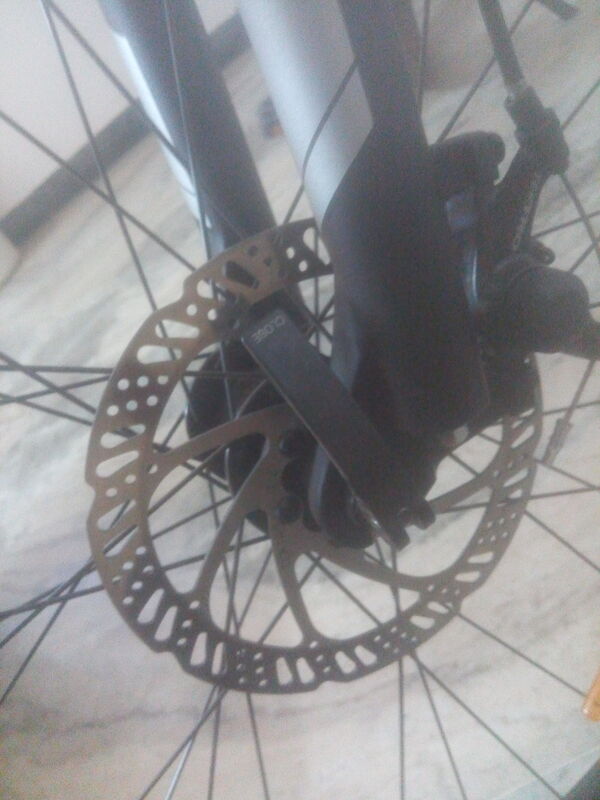 I think your rotors look like Sram ones, but I may be wrong, so I'll put the specs for other brands as well. Sram rotors should be replaced by the time they get worn down to 1.5mm thick. For Shimano rotors, it is 1.6mm. Magura recommends replacing at 1.7-1.8mm depending on the model of rotor. Hope have a limit of 1.4mm. Hayes should be replaced at 1.52mm. To add on the previous answer, which is indeed correct (look for what your disc vendor says). If the "step" between the worn part of the disc that contacts pads and the rest of it can be distinctively sensed with a sharp metallic object (a pick, a tiny screwdriver etc. ), it is worn. Not the answer you're looking for? Browse other questions tagged disc-brake or ask your own question. What is the benefit of a larger disc rotor? Is it a good idea to sand off the rotor when exchanging disc brake pads? How much runout is acceptable in a disc brake rotor? Rear disc brake rotor rubbing against caliper frame mount?